How to Make People LOVE to Do Exactly What You Want! Using real-life examples – Rev. 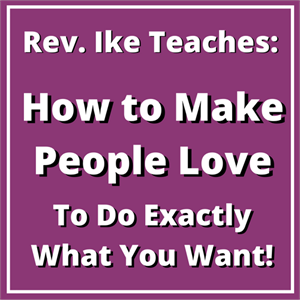 Ike teaches you how to apply the secrets of male and female psychology, to get people to LOVE to do exactly what you want them to do! Women (and men) will learn how to deal with the men in your life in a highly effective way. Men will learn what women really want, and how to to apply this knowledge to win their voluntary cooperation. As you listen to Rev. 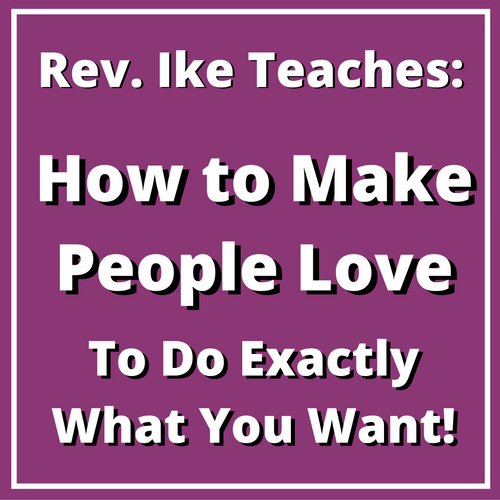 Ike outlining his practical 'Do's and Don't's you'll see YOURSELF in this lesson – you'll learn why you HAVEN'T been getting what you want – you'll realize that you have been dealing with some of your relationships in the wrong way! 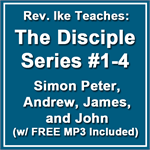 As you go through this powerful one-hour audio lesson with Rev. Ike, you learn how to apply the Laws of Mind Science to get people to willingly – eagerly – do what you want them to do! These are 'win-win' communications techniques that will bring remarkable results. Everybody wins! ... because you will have a new, powerful, more effective way of relating to all the people in your life that will bring you the results you want. Order this hour-long MP3 audio file now and discover how to get along with men – how to get along with women – and – how to make people LOVE to do exactly what you want! Total length: 1 hour 6 minutes. 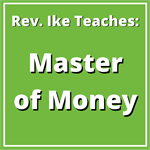 I am spoiled by Dr. Ike's teaching because he breaks it down like no other. This MP3 helped me to understand the psychology of male and females and how to get along with them. This is actually very important for me because I considered myself an "introvert" in the past but now I AM learning and being empowered to socialize in a whole different manner. I'm actually wondering if they have more Mp3s about this subject.